Our wonderful customers Jo and Kevin had been looking for a statement free-standing hall cupboard for some time when they came across The Fettling Fairies website and saw previous examples we had supplied to our customers. Jo had some discussions with Joy the Bossy Fairy; Jo explained that they did not want their cupboard to be too deep in order that it did not stand out too far into the hallway. 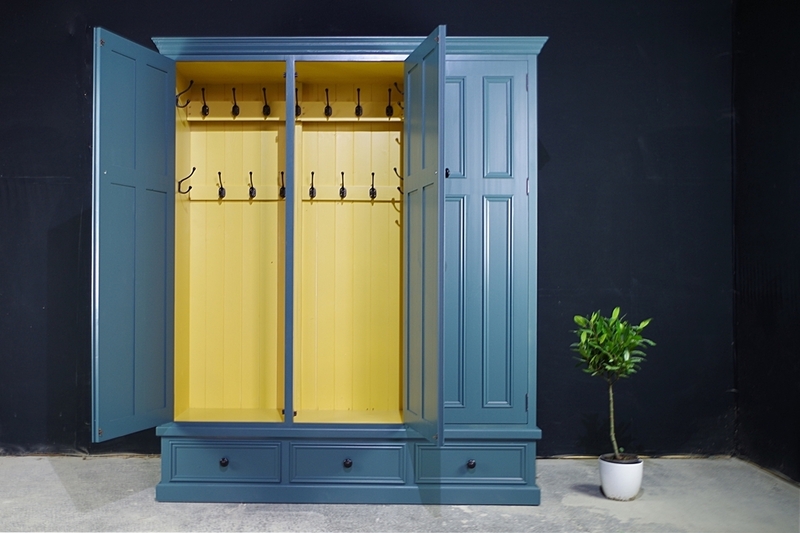 Joy suggested that the best way forward would be for us to supply a new, made-to-measure wardrobe to the required dimensions. 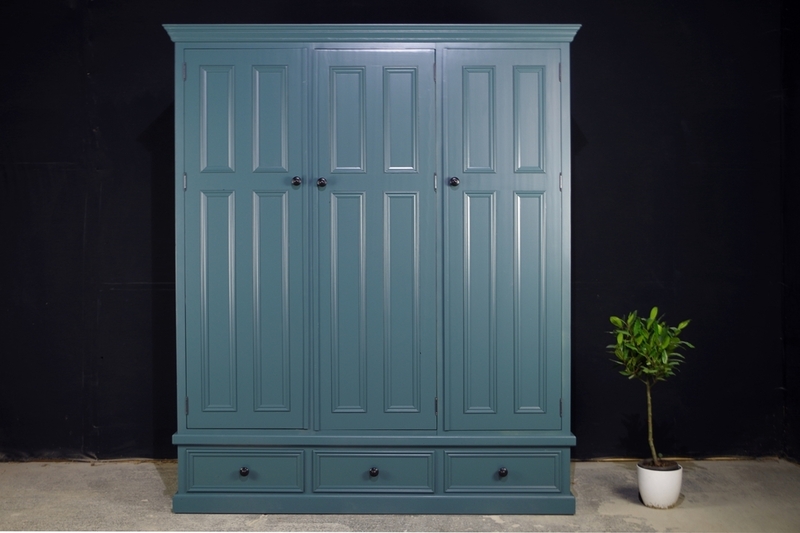 We contacted one of our craftsman suppliers who produces top quality pine wardrobes and he manufactured this bespoke wardrobe to our specifications. 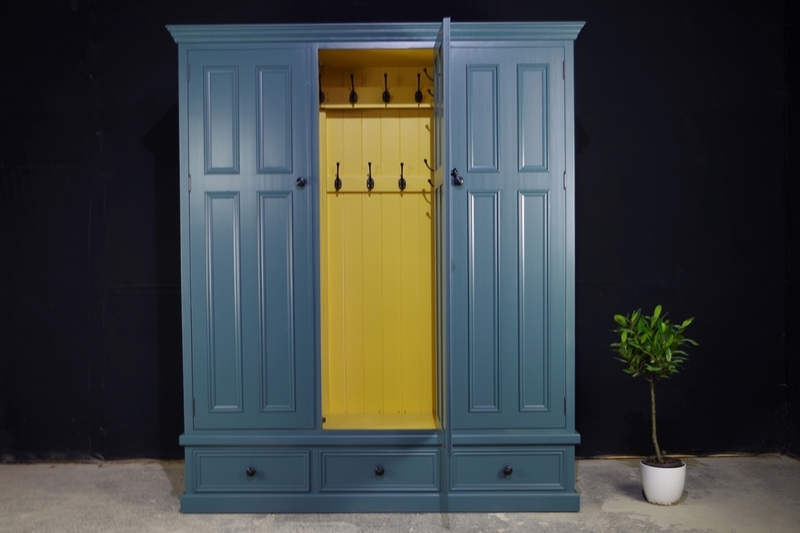 Once the new wardrobe was delivered to our workshops, we prepared it for painting by fine sanding all the surfaces inside and out. one coat water-based acrylic undercoat in dark tones on external surfaces. one coat water-based acrylic undercoat in white on internal surfaces. 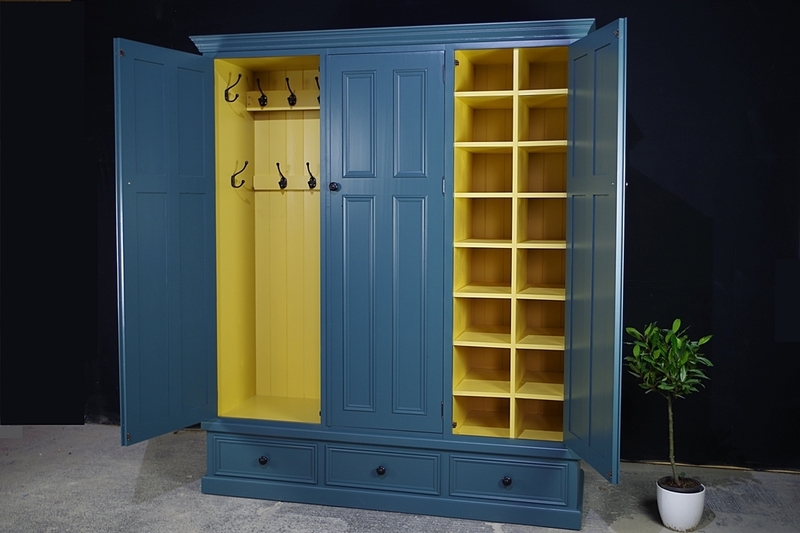 Two coats water-based acrylic satin in Sudbury Yellow to internal surfaces. 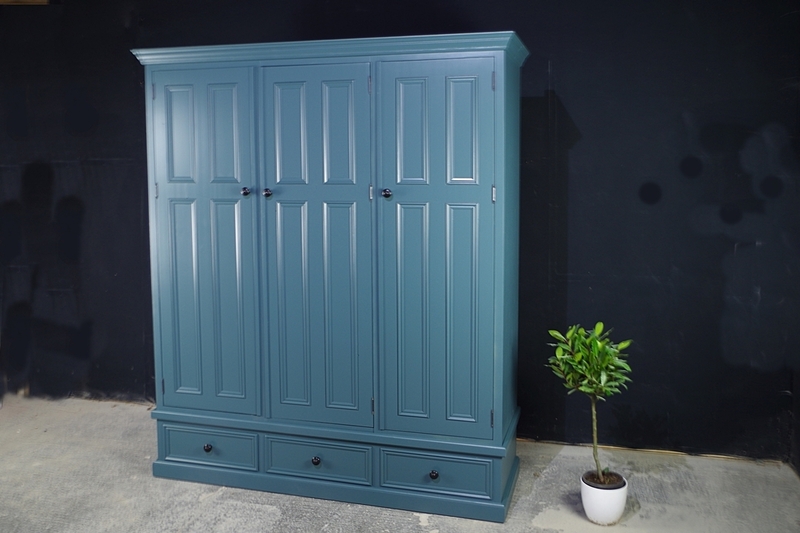 Two coats water-based acrylic matt in Inchyra Blue to external surfaces. Two coats water-based satin varnish to external surfaces. 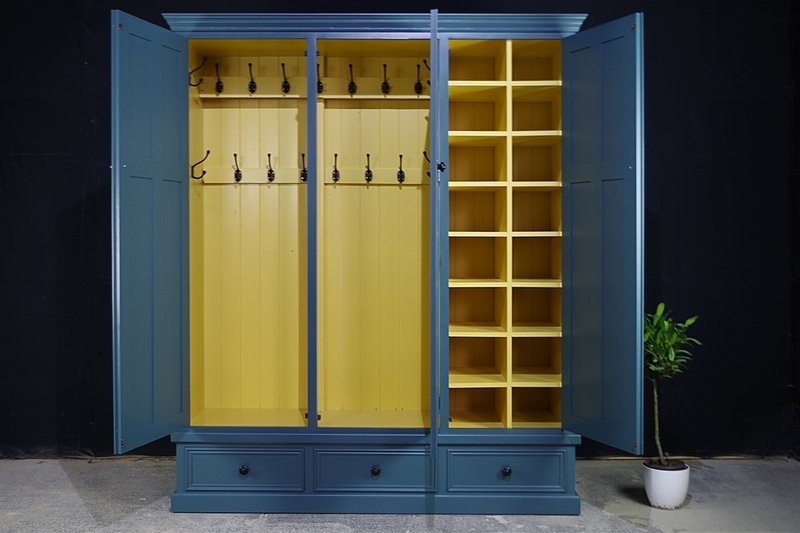 After this, we fitted backing rails and black Victorian cast iron coat hooks into the double section. Black cast iron knobs to doors and drawers completed the look. 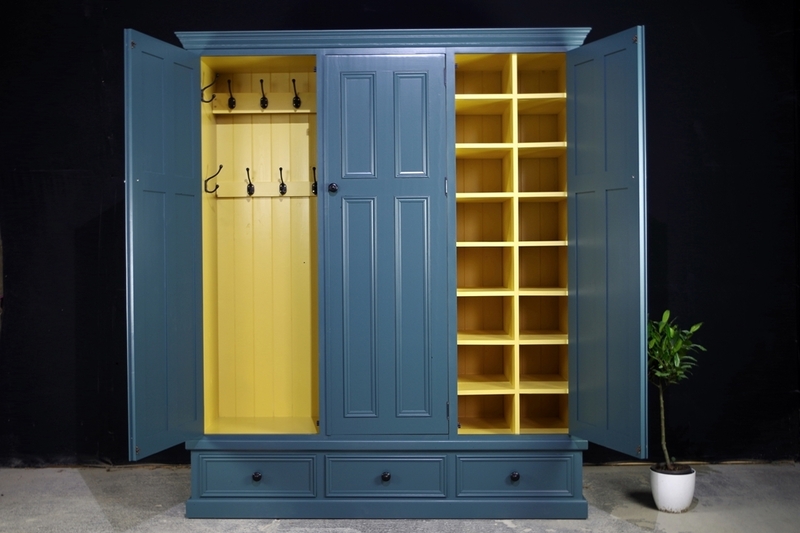 We delivered this cupboard to Jo and Kevin's Oxfordshire home ourselves so that we could assemble the piece in situ. It looked perfect there!